Houghton Mifflin Harcourt, 9780395977651, 304pp. 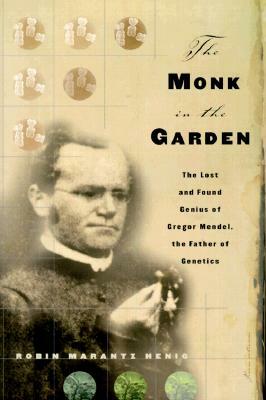 Most people know that Gregor Mendel, the Moravian monk who patiently grew his peas in a monastery garden, shaped our understanding of inheritance. But people might not know that Mendel's work was ignored in his own lifetime, even though it contained answers to the most pressing questions raised by Charles Darwin's revolutionary book, ON ORIGIN OF THE SPECIES, published only a few years earlier. Mendel's single chance of recognition failed utterly, and he died a lonely and disappointed man. Thirty-five years later, his work was rescued from obscurity in a single season, the spring of 1900, when three scientists from three different countries nearly simultaneously dusted off Mendel's groundbreaking paper and finally recognized its profound significance. The perplexing silence that greeted Mendel's discovery and his ultimate canonization as the father of genetics make up a tale of intrigue, jealousy, and a healthy dose of bad timing. Telling the story as it has never been told before, Robin Henig crafts a suspenseful, elegant, and richly detailed narrative that fully evokes Mendel's life and work and the fate of his ideas as they made their perilous way toward the light of day. THE MONK IN THE GARDEN is a literary tour de force about a little-known chapter in the history of science, and it brings us back to the birth of genetics - a field that continues to challenge the way we think about life itself.